One of the 13 siblings who was allegedly imprisoned and tortured by their parents was bullied by classmates for smelling bad, a former classmate has revealed. The Turpin kids were rarely allowed to leave their home—they lived first in Texas, then California—and prosecutors said during a court appearance that the children were tortured and abused. When officers arrived at the house on Jan. 14, they found some of the children shackled to large objects and all of them living in squalid conditions. Officers initially believed all of them were younger than their actual ages and were “shocked” to learn their real ages, according to a police report. Prosecutors said that Louise and David Turpin, who have been charged with torture, unlawful imprisonment, and child abuse—only let their children eat once a day and shower twice a year. New information from a former classmate of Jennifer Turpin, the eldest Turpin child, indicates that she was ridiculed in school by peers because she smelled bad. Jennifer Turpin, now 29, went to elementary school in Fort Worth, Texas with a man named Taha Muntajibuddin. Muntajibuddin, now a pediatrics resident doctor in Houston, wrote on Facebook that he was feeling an “overwhelming sense of guilt and shame” for what he and his friends put Turpin through at the school. 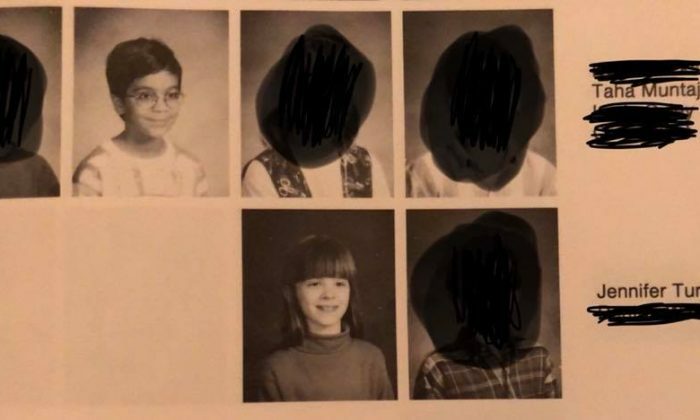 “None of us are responsible for the events that ensued, but you can’t help but feel rotten when the classmate your peers made fun of for ‘smelling like poop’ quite literally had to sit in her own waste because she was chained to her bed,” he wrote in the post.